Guys, I am really excited about the growing popularity of strong--yet vulnerable--women characters in genre film. I mean, I'm elated. 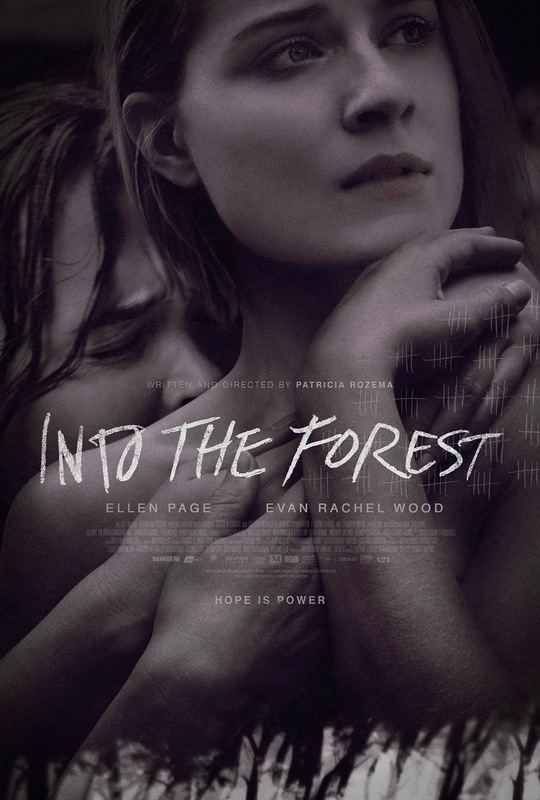 And now two of my favorite actresses, Ellen Page and Evan Rachel Wood, have teamed up for the apocalyptic looking thriller, INTO THE FOREST, which looks potentially great. And, it was directed by a woman--Patricia Rozema (Mansfield Park), who also adapted the screenplay from a novel written by another woman, Jean Heglund. Set in the near future, this riveting and suspenseful apocalyptic drama follows two sisters, Nell (Ellen Page) and Eva (Evan Rachel Wood) who live in the Pacific Northwest with their kindly father, Robert. Nell is focused on her studies and Eva is training to be a dancer, but their peaceful lives are disrupted one day by what turns out to be a continent-wide blackout. Whereas at first the family bond together and try to make the most of their difficult circumstances, as time gone on, the challenges become more serious. In the wake of a shocking and violent confrontation that Robert has with a menacing passerby, the sisters must work together in order to survive in their increasingly treacherous new world. This looks very intriguing. What say you? INTO THE FOREST will be available exclusively on DirecTV June 23, opening in theaters July 29. I've been wanting to see this since it was at Sundance last year, even though it got luke warm reviews. Wood and Page are two of my favorite actresses for sure.